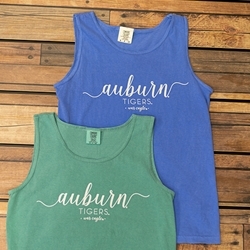 Get comfortable and stay cool in this Auburn Comfort Colors Tank by MV Sports! Love Comfort Colors! Sooo Comfortable!